Malaysia's ex-leader Najib Razak arrived in court on Thursday to face a barrage of charges relating to $681 million of state funds that allegedly ended up in his personal bank account. Nine of those charges are for money laundering, five for the use of ill-gotten gains, and seven for transferring illicit funds to other entities. The money-laundering accusations are related to the so-called 1MDB scandal, drawing its name from the 1Malaysia Development Bhd government investment fund. The US Department of Justice, which is seeking to recover assets allegedly bought with stolen 1MDB money, estimates that $4.5 billion in total was looted from the fund. Najib has maintained his innocence and said his trial in February 2019 was the "best chance" for him to clear his name. Malaysia's former prime minister Najib Razak (C) is escorted by police to the court house in Kuala Lumpur on September 20, 2018. Najib was arrested again on Wednesday in relation to the 1MDB investigation by the MACC and was taken into custody at the anti-graft agency's headquarters in Putrajaya. USA investigators say Najib's associates stole and laundered $4.5 billion from the fund, some of which landed in Najib's bank account. 1MDB is being investigated by at least six countries, including Singapore, Switzerland and the United States, over alleged money laundering and graft. 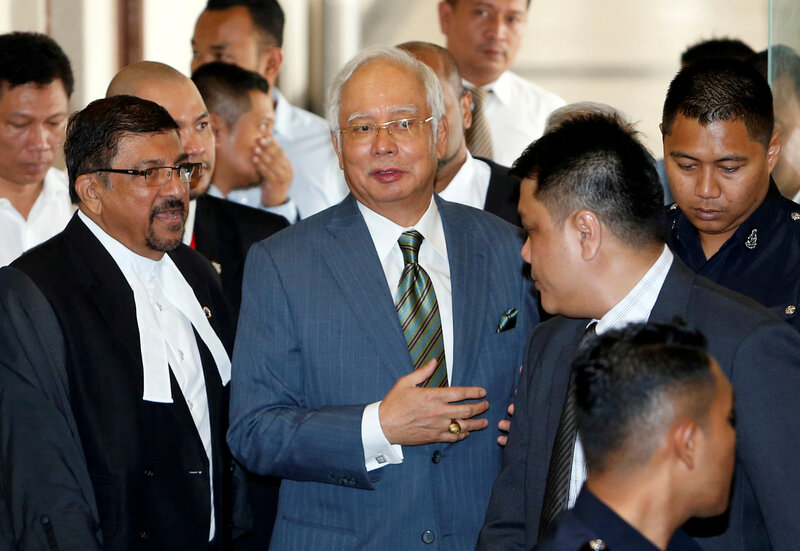 Prosecutors, describing the abuse of power charges, said Najib used his position as prime minister, finance minister and chairman of 1MDB to obtain funds totalling about 2.3 billion ringgit (420.5 million pounds) between 2011 and 2014. Police have said investigations show that $972 million had been transferred to Najib's bank account from three companies linked to 1MDB. Najib previously posted RM1 million bail split across two payments when he was charged in July with criminal breach of trust and power abuse. He denies any wrongdoing. A new attorney-general cleared Najib in January 2016, saying it was a political donation from Saudi Arabia's royal family and most of it had been returned - an explanation that was met with widespread skepticism. Najib and his luxury-loving wife Rosmah Mansor became hated figures, symbols of the rot in a corrupt elite that had ruled Malaysia uninterrupted since independence from Britain in 1957. "I hope my journey in court will uphold the truth and put to rest this RM2.6bil issue once and for all", he said to reporters right before leaving the Kuala Lumpur High Court on Sept 20. People at the scene of the shooting say that family was gathered for a celebration of life when the gunshots started. Details of the victims, reportedly aged from eight to 35 years, have not yet been released. 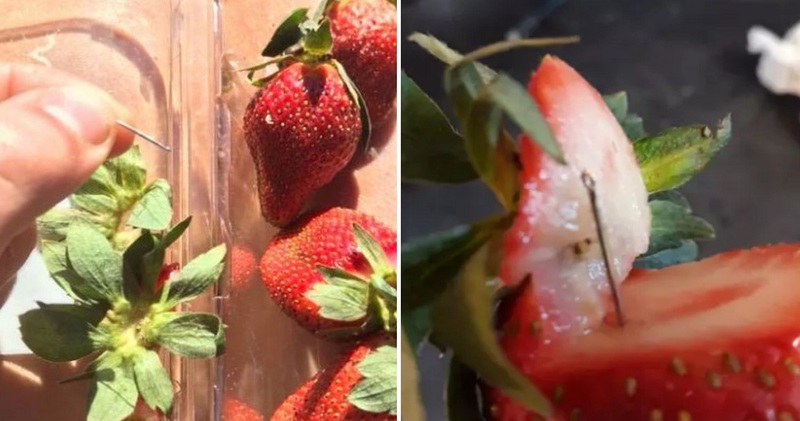 They're asking us to contact Crime Stoppers if we know more, and are reminding us contaminating fruit is a criminal offence. Woolworths announced Thursday that it was temporarily removing needles from sale, according to the Reuters news agency. The ship bounded through the Pacific Ocean, scraping up against the Great Barrier Reef and stopping in New Zealand and Tahiti. - The Endeavour next undertook navy voyages to and from the Falkland Islands. before being sold into private hands in 1775. The positions pay between $300 to $1,000 a day, with the rate based on experience and how much time can be invested. The company will accept applications until Sunday, October 14. In the first, testers simulate a collision between a standing auto and another vehicle traveling 38 miles per hour . The only safety equipment mentioned by NHTSA that the Model 3 doesn't offer is dynamic head restraints. 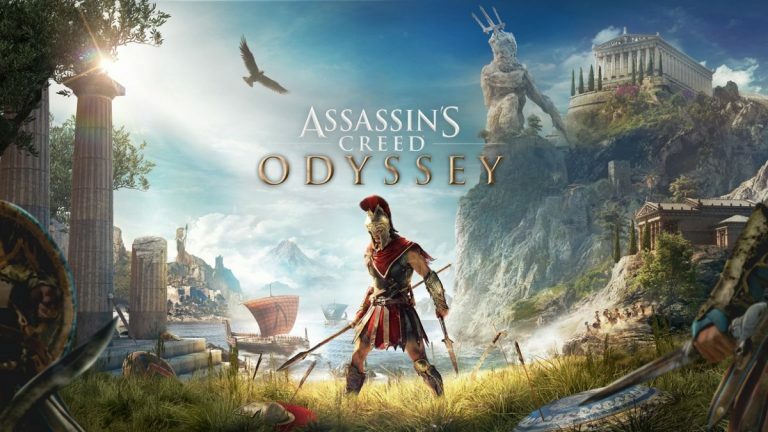 Ubisoft has announced quite a slew of planned post-launch content for Assassin's Creed Odyssey , both free and paid. As they engineer their way through the specifically Assassin's Creed Odyssey themed obstacle course. Through tears, she said she has survived hurricanes Floyd in 1999 and Matthew in 2016 but "this has been the absolute worst one". At least 36 other similar lagoons are likely to also overflow - and five are structurally damaged, according to the department. Turning our attention to the Kindle Paperwhite , Amazon is discounting the e-reader by $40, bringing it down to a low $79.99. 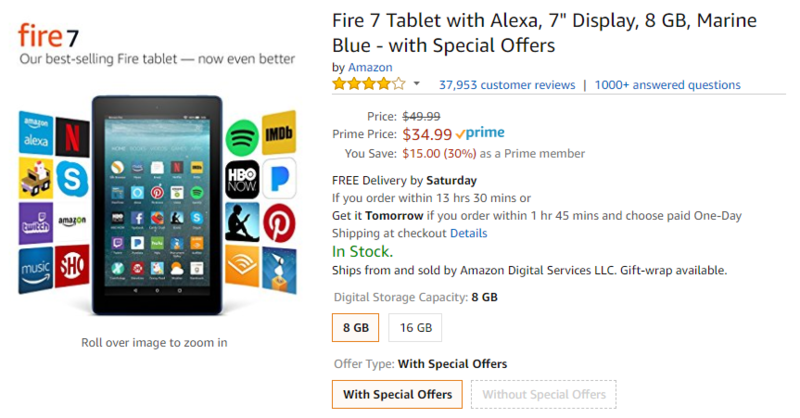 Starting off with the Fire TV 4K , Amazon regularly sells the device for $69.99, but today is selling it for a low $39.99 . For other measures, such as ozone and distance to heavy traffic, the researchers said there was less evidence of any links. 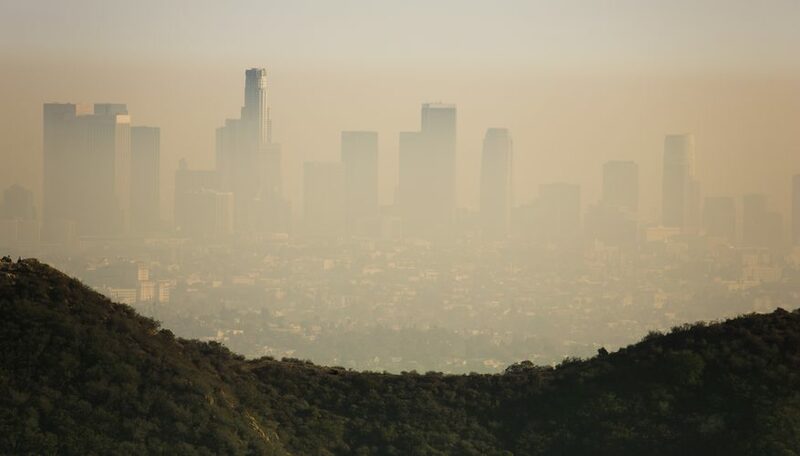 Living in a highly polluted area may increase the risk of dementia by as much as 40 per cent, a new study suggests. He had to make a couple of really basic saves but besides that he was fairly bored as the keeper sweeper in Liverpool's back line. It shows you the quality we've got in the squad. "Behind the scenes and at training we're all hungry to go for starting places. Mourataglou later admitted to illegal coaching, but said he believes Williams reacted the way she did because she didn't see him. Osaka even apologized to the USA crowd for beating Williams, the hometown hero, but she had absolutely nothing to apologize for. 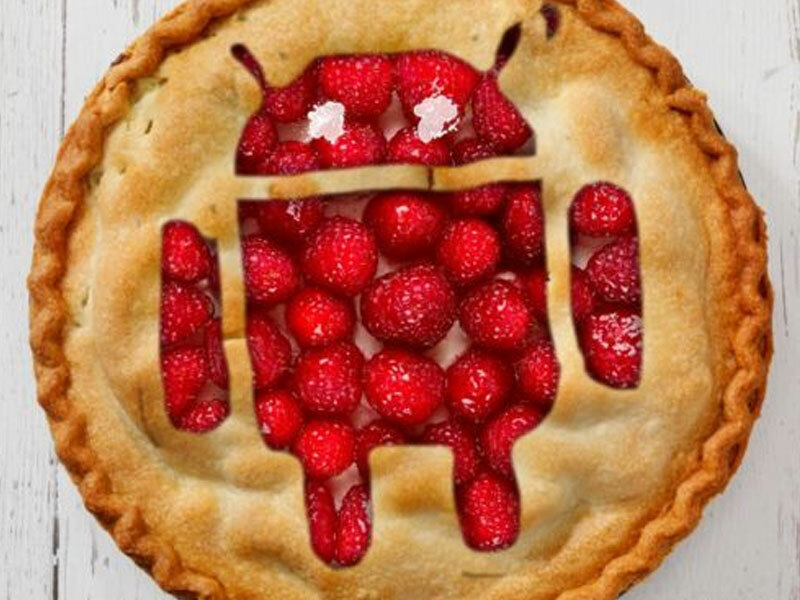 Android Pie brings with it a ton of new features, such as new gesture navigation elements, redesigned quick settings and more. Lots of reports popped up on Reddit and a clarification from Google followed after a while. Emery acknowledged that Aubameyang's double could be a vital confidence booster for the striker after he only netted one Premier League goal in five games so far. There was also a holding penalty, by a receiver, that forced the Saints to kick a field goal on the second drive of the game. In a corresponding move, the Browns signed Greg Joseph to take over for Gonzalez. The devs are already working on tweaking these features to make the game mode a much more enjoyable experience for players. Over two weeks ago, Ninja made a joke prediction about the path the enormous purple cube would take in Fortnite . 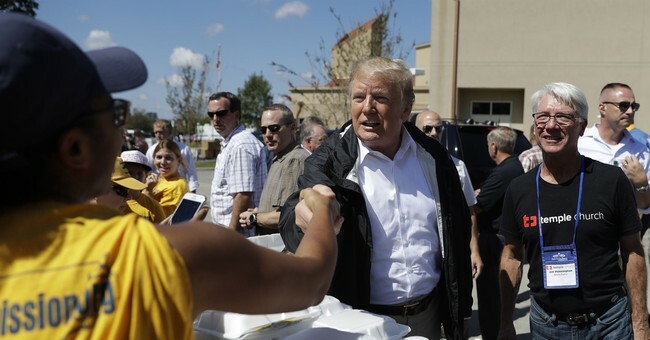 At Trump's first stop, Cooper briefed the president at a Marine Corps air station that sits among areas hardest hit by Florence. I love SC I love this state and I love Henry McMaster and the job he's done". In a Conservative press release put out after crossing the floor, Alleslev doubled down on her castigation of the Liberals. Her claims left some former Liberal colleagues flabbergasted that she had to leave the party in order to criticize it. In this new teaser for Daredevil Season 3, Matt doesn't seem like the kind of guy who would make that same mistake again. This comes just a day after the release of the poster and days after the release of Iron Fist season two release. Donald Tusk , the president of the European Council. "Europe isn't an a la carte menu", said French President Emmanuel Macron . Theresa May's uncompromising tone was then matched note by note by the European Union and here we are now. The Recast is capable of recording two or four shows at a time and allows you to stream your channels to multiple devices at once. The new DVR costs far more than their competitors who already have apps on the Fire TV with a cost of $229.99. As the Cleveland Browns pursue their first victory of the 2018 season, they'll have one of their top playmakers in their lineup. Now laying claim an 0-1-1 record on the season, the Browns are looking to secure their first victory since the 2016 season. The PlayStation Classic will come pre-loaded with 20 iconic titles from the PS One era and is set to release December 3. Instead, they're based on the original PlayStation controller, which lacked the now-ubiquitous pair of analog sticks. The HERO7 Black is the cream of the crop because it is designed for professionals to capture some of those hard-to-reach shots. A few of the features unique to the Black versus the other models include Raw photos, live streaming, and TimeWarp video. Ford accused the judge of sexually assaulting her at a party in the 1980s when they were teenagers in high school. Katz then reiterated her strong preference that a federal investigation occur before a hearing. He then sent them into meltdown by draining a 27-foot eagle putt to post a five-under-par 65. "Yeah, 18 was nice". It wasn't as low as the 62 he shot at Aronimink to share the 18-hole lead in the BMW Championship two weeks ago. Users will still need to connect their PS4 system to the internet "every few days" to verify their PS Now subscription. When September 25 rolls around, the prices for one-, three-, and 12-month PlayStation Now subscriptions will go up. At the time, he also admitted he was on medication for his bipolar disorder, or as he would call it, his "superpower". He spoke about Drake's beef with Pusha T , who took shots at the Canadian rapper in the track "The Story of Adidon".